Not many people were fans of the Wii as a games console but I was one of the few. I loved it and spent many happy memories playing Call of Duty on the Wii against the small micro-community of other people who also played COD on the Wii. However one thing that’s for certain is that when Wii Sport and Wii Fitness came out gaming as we know it was revolutionised. 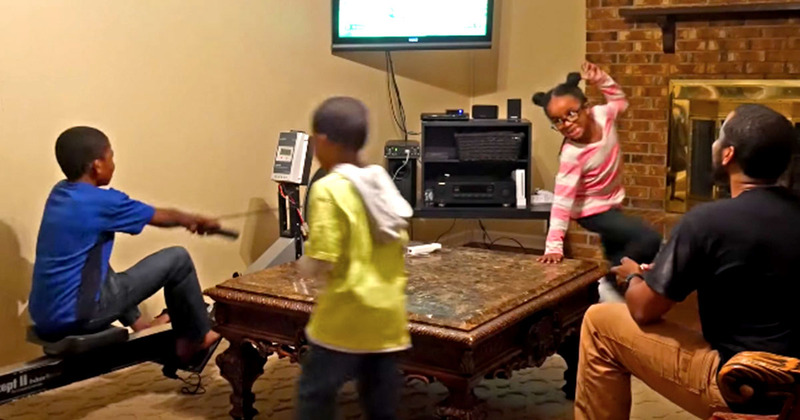 While you could never get ripped by playing games that involve some mild activity, one father in the US is making sure that his kids stay healthy when they’re playing on the Wii. Jeremy Fielding is a YouTuber with a fascination for all things mechanical. Posting onto his YouTube channel, Jeremy revealed how he keeps his kids loving life and in shape! 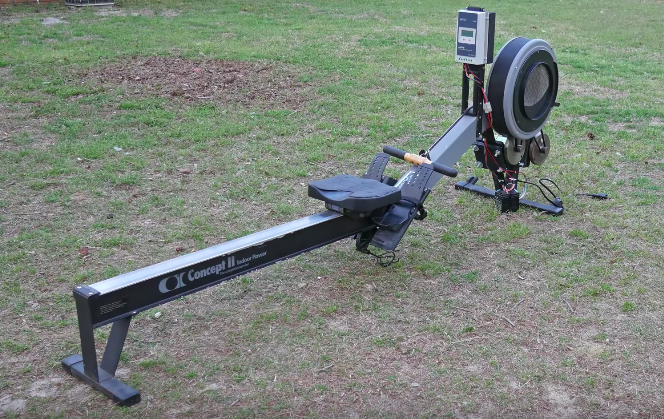 When Jeremy picked up a Concept 2 rowing machine on Craigslist he decided to turn it into a power device. After a lot of hard work, Jeremy connected the power device to his kids’ Wii console – if they wanted to play the Wii they had to row in order to keep it powered. The kids, they love it. Even when the Wii is turned off, the boys especially love rowing with the ‘light bar’ as we call it. I plug it in and they compete to see who can make them the brightest, who produces the most watts (power) and so on. We usually use 3-6 light bulbs and they won’t leave it alone. The rowing machine is the game, not the Wii. What I loved most about this project was the chance to teach my children about dams, and how power is generated. A lesson they won’t forget. Here we have two permanent magnet DC motors which are coupled to the flywheel of my rowing machine. Now when you spin the shaft of a permanent magnet DC motor it basically becomes a generator and that’s essentially what you’re looking at here. A human power generator. Jeremy then proceeds to let the kids show you how it works. When they rowed it powered the console perfectly, when they stopped rowing, they had just short of a minute to start rowing again or change the rower. As you can see in the video, the kids, who seem to be having the time of the lives, have to keep rowing to keep the games going. If Jeremy keeps this up he could revolutionise gaming and fitness as we know it! Imagine if every Olympic rower of the future was just some World of Warcraft addicted machine, powering his sessions through 200 metre sprints. Things You Can Make With Treadmill Parts. #59.